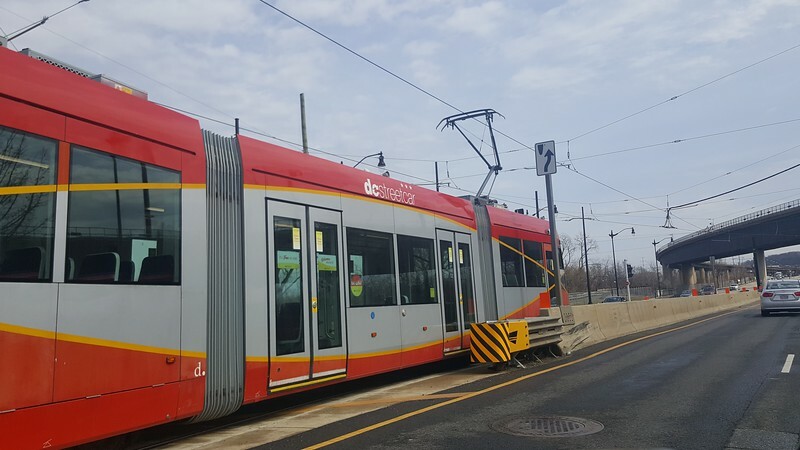 The DC Streetcar is a controversial 2.2-mile streetcar line serving H Street and Benning Road in Washington, DC's Near Northeast neighborhood. 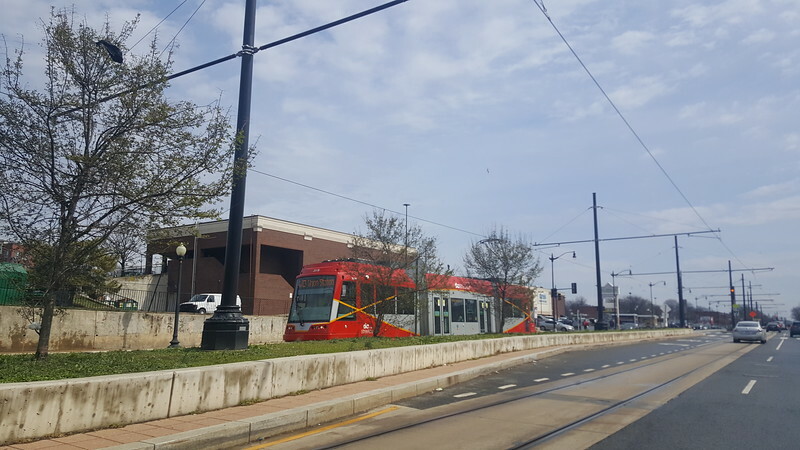 Intended to spur redevelopment along blighted commercial corridors, the streetcar are the first to run in the District since the dismantline of the previous early 20th century citywide streetcar network in 1962. Fixed transit critics have claimed its $229 million price tag was too expensive and many streetcar advocates have argued that its transit potential is limited due to the line sharing lanes with the same vehicles its supposed to serve as a competitive commuting alternative too. After years of debates and delays, the DC Streetcar officially began service on February 27, 2016. 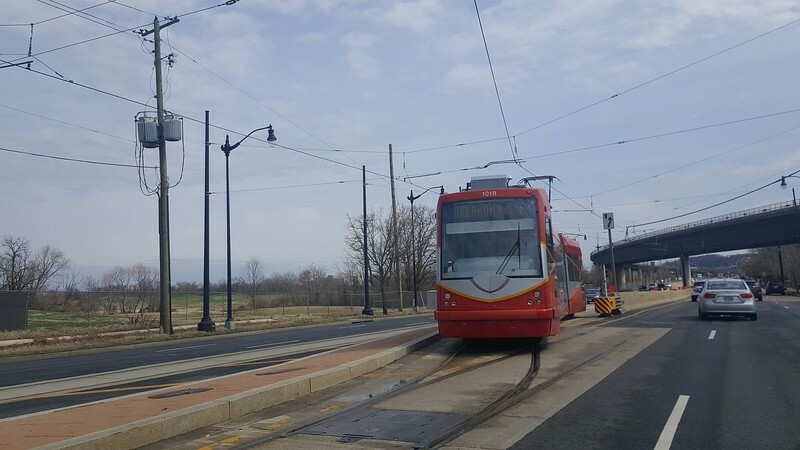 Now in operation for a full year, Modern Cities takes a quick look at the DC Streetcar and the revitalizing commercial districts it serves. 1. 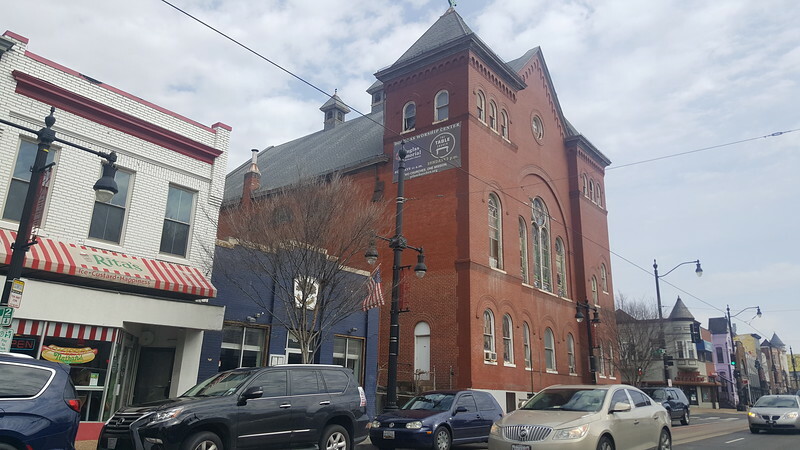 The historic Douglas Memorial United Methodist Church on H Street NE. Near Northeast evolved into a major center of black population in the first half of the 20th century as a streetcar suburb. 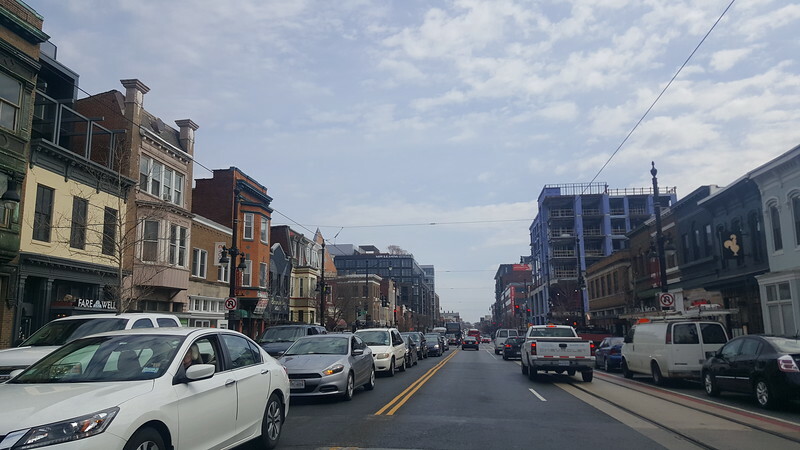 As a result, H Street NE between 3rd and 15th Streets emerged as one of Washington’s earliest and busiest working class commercial districts. 2. 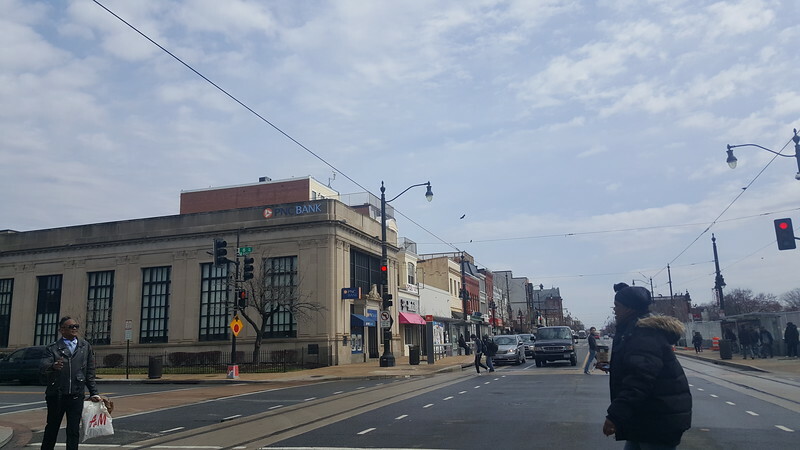 H Street NW and Near Northeast was devastated by a race riot that ripped through the city following Martin Luther King, Jr.’s assassination in April 1968. It became one of the city’s worst casualties of the riots, with many destroyed properties remaining underutilized for decades. 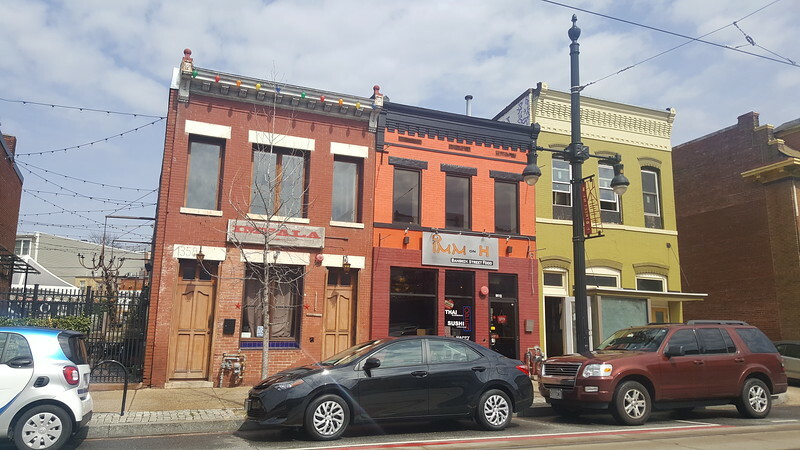 Revitalization of the corridor took a noticeable step forward during the early 2000s with the opening of several restaurants and entertainment venues. As a result, streetcar critics have argued if investing in the DC Streetcar was truley needed. Debates continue today regarding arguements that the streetcar is responsible for recent development taking place along the corridor. 4. DC’s streetcars are about the same length as an articulated bus, but hold more people. Each streetcar can accommodate 130 passengers seated and standing, compared to 65 on an articulated Metrobus. 5. Offering 12 minute headways, the average east/west trip, from end to end, on the DC Streetcar takes roughly 20 minutes. The most popular time to ride the DC Streetcar is between 5:00pm and 7:00pm on weekdays. Traveling eight miles per hour, the streetcar moves through the corridor faster than the X2 bus, which makes more stops and carries more people. 6. March 2017 set the new monthly record for DC Streetcar ridership and a milestone of one million riders. Over the course of the month, a total of 93,909 passengers rode the streetcar for a weekday average of 3,207 riders. Ridership numbers are collected via automatic passenger counters installed on board vehicles and verified by periodic manual checks. According to the DDOT, ridership is now more than twice the originally projected 1,300 riders per day. 7. The DC Streetcar is currently free to ride. DC Streetcar will remain free to residents and visitors of the corridor until DDOT announces a change in fare policy. 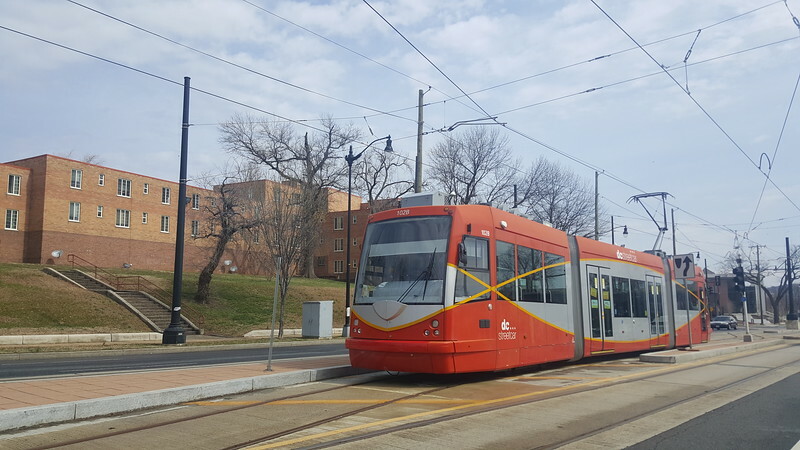 In February 2017, DDOT announced its intentions to keep the streetcar fare free for the next four years. This is due to the cost of installing and operating a fare collection system outstriping any revenues the streetcar produces by a large margin. In addition, if a fare were charged, DDOT forecast a 30 percent ridership loss. 8. It costs the District $8.8 million annually to operate the 2.2-mile line.